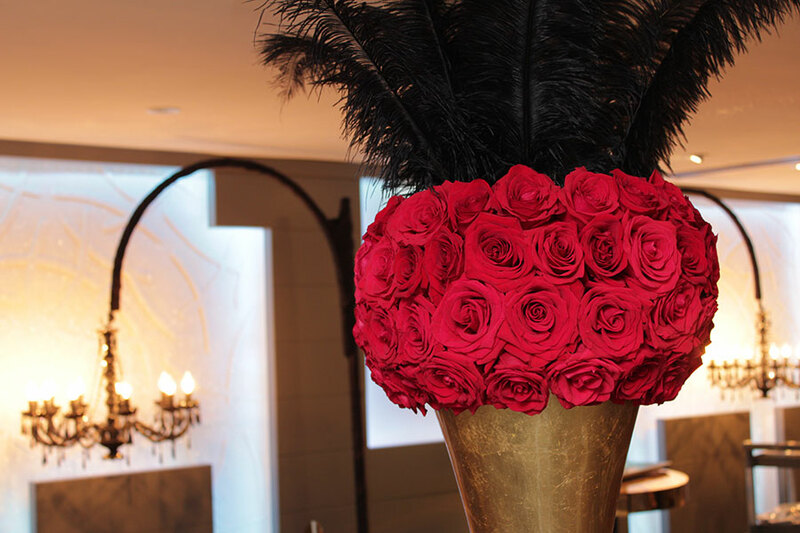 Our De Luxe Lounge’s timeless style and beauty never fails to make a great impression. 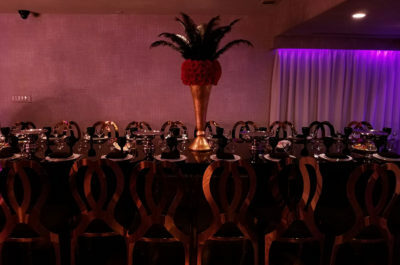 When you’re looking for a smaller venue but still want a sophisticated space with customizable amenities, our De Luxe Lounge is exactly right. 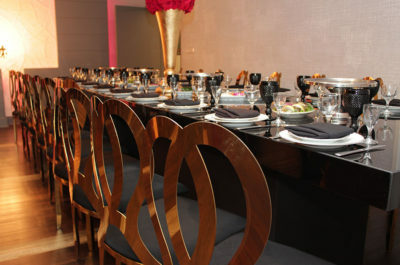 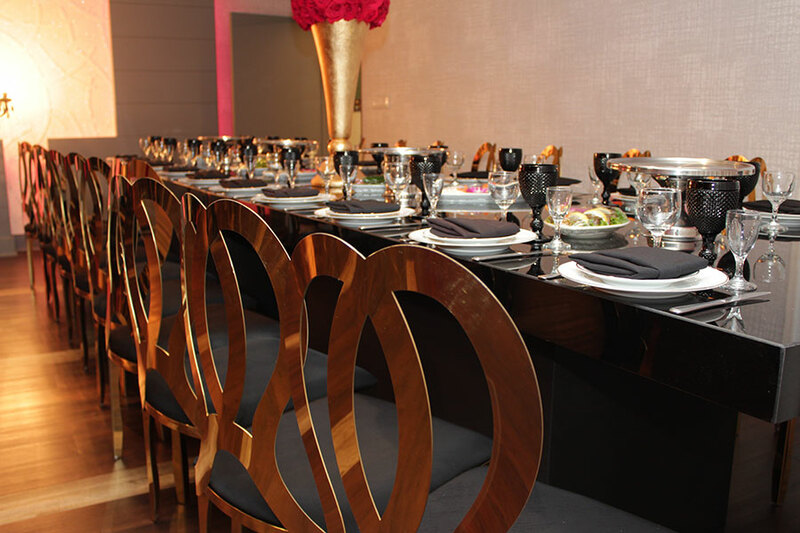 Chic and classic, the lounge can be transformed to have the look and feel that you want for your special event. 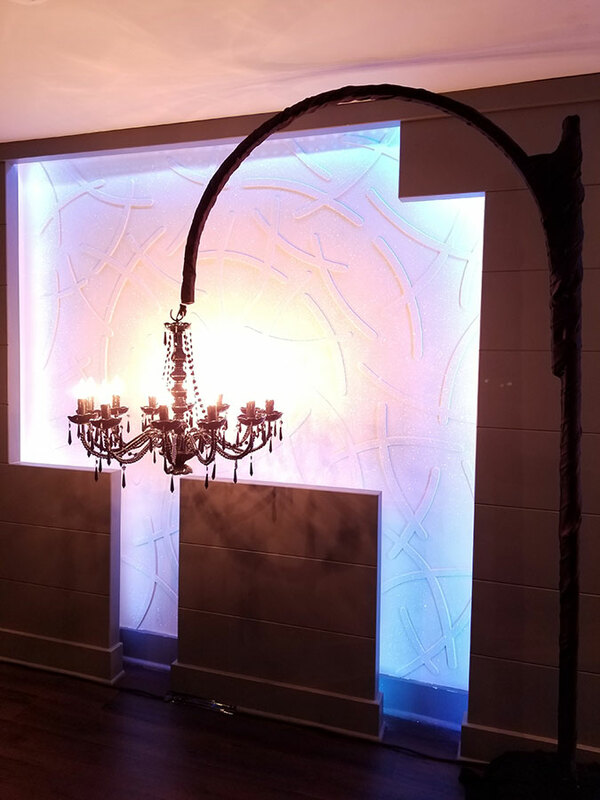 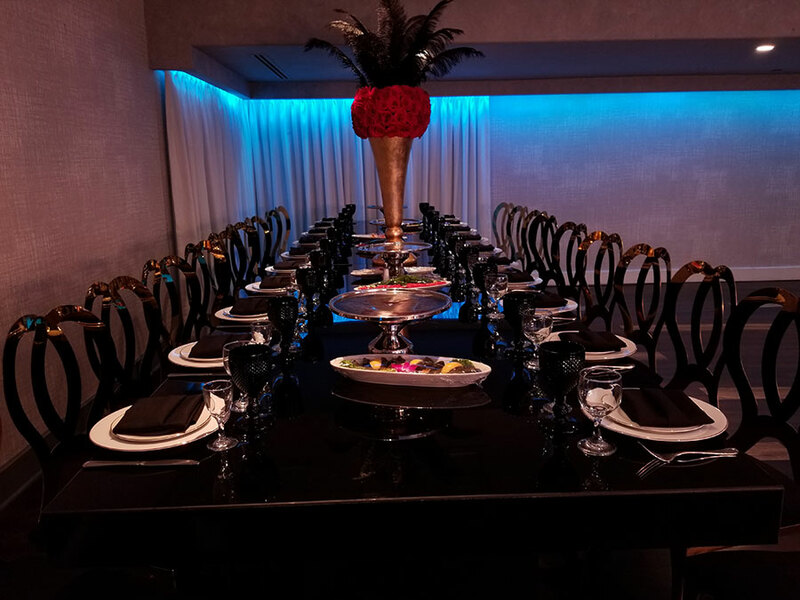 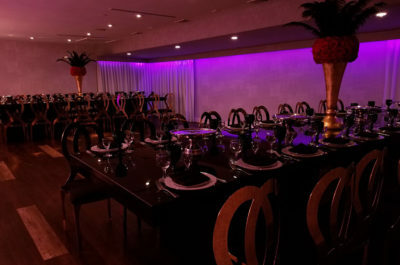 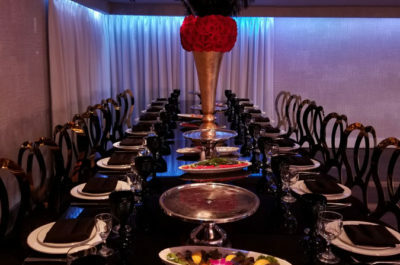 Whether you’re hosting a baby shower, an intimate birthday party, a bridal event, or a small business mixer, the De Luxe Lounge provides a beautiful, upscale space for your needs. 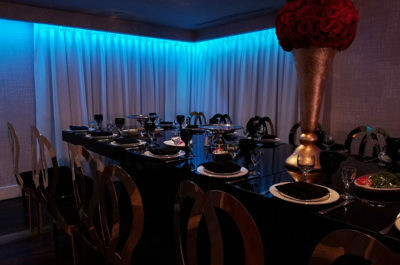 At 750 square feet, our De Luxe Lounge can accommodate about 50 guests. 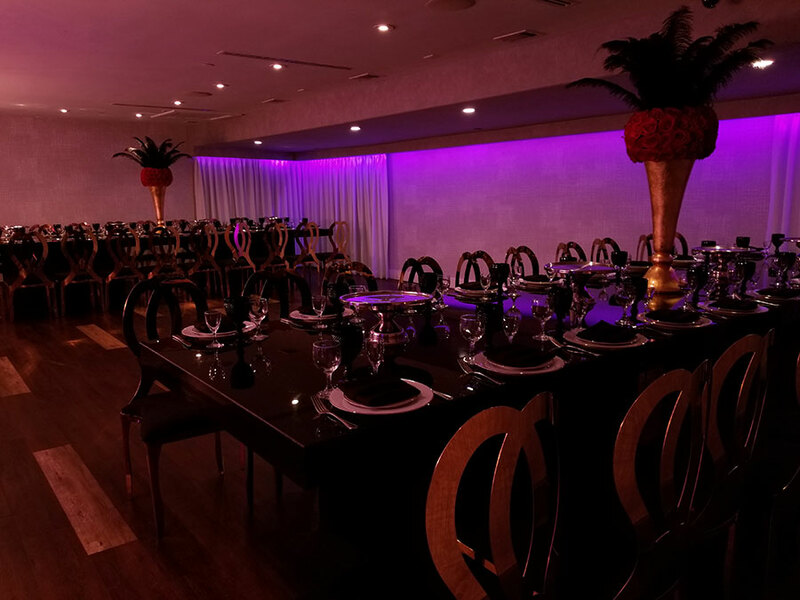 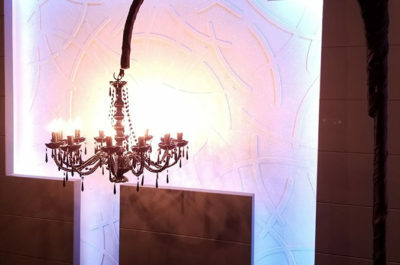 It includes ambient LED lighting which can be changed according to your preferences, and you can also arrange the furniture any way you wish (or remove it altogether) to accommodate your event. 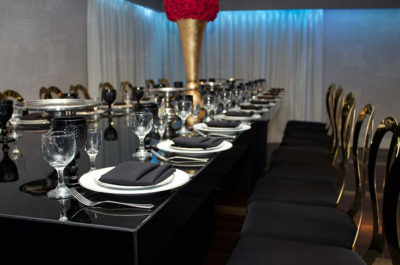 Some clients may want tables and chairs for dining; other clients may want chairs only for a small business meeting. 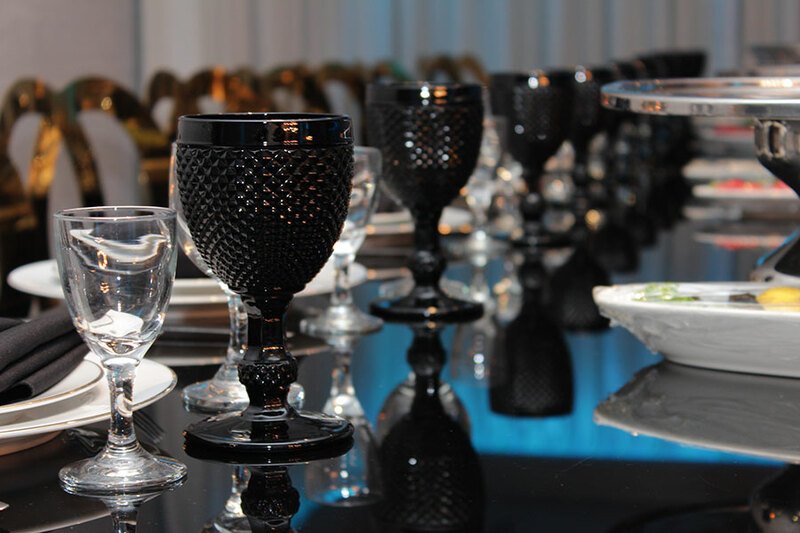 We also provide options for different flatware and linens for you to choose from that you think will best fit your event. 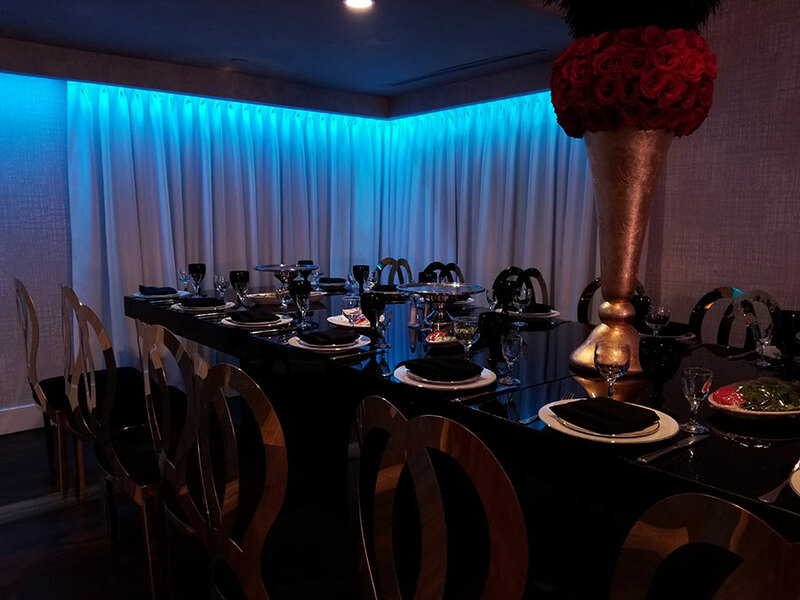 Our lounge can be made into whatever you would like it to be, and no matter what size your event is, our team at De Luxe will make it our goal to see that you and your guests are pleased and have a truly memorable time. 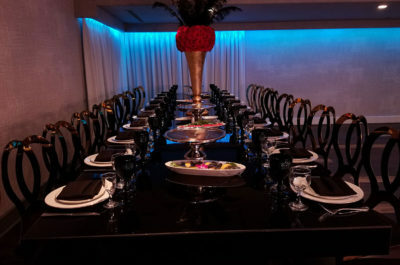 The De Luxe Lounge has the same outstanding catering services that are featured at the De Luxe Ballroom and Olivia Event Venue. 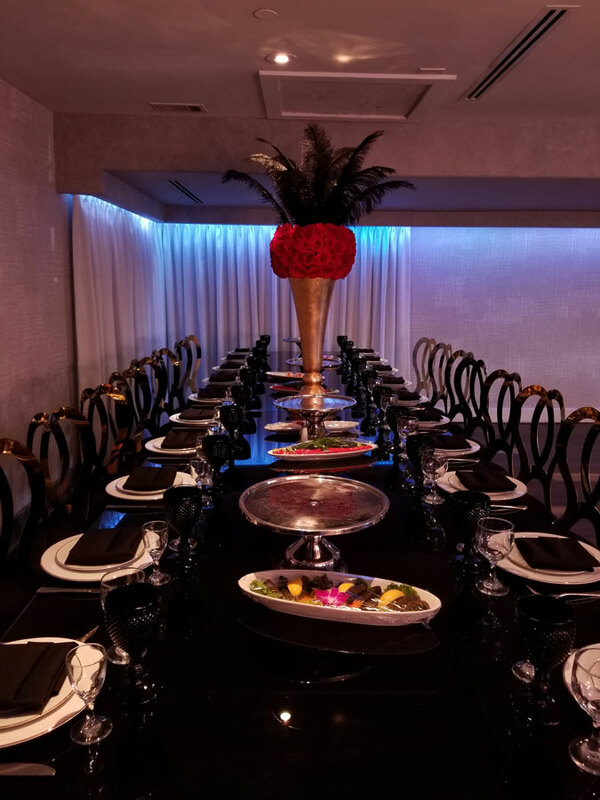 Our highly-trained, world-class chefs can create anything you want for your party—from delicious hors d’oeuvres to a decadent multi-course meal. 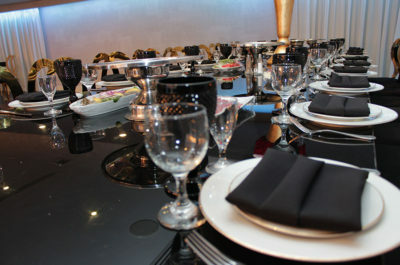 Our buffet service is very popular, as is our family style dining. 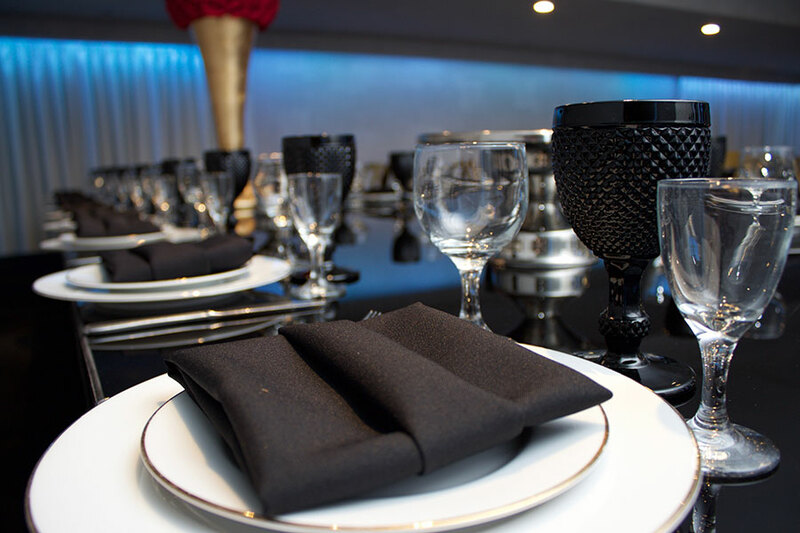 Our catering menus are flexible, and we encourage our clients to work with us in order to customize the food to be exactly what you’d like for your event. Our specialty is Mediterranean cuisine, but we are happily able to make any type of food you want. We understand that good catering can make or break an event, and that is why we take what we serve very seriously. 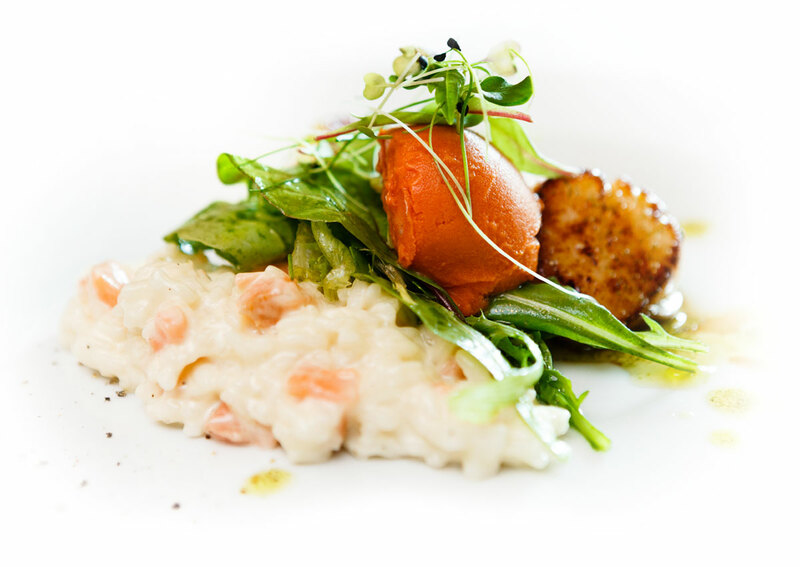 Our chefs are passionate about what they do. 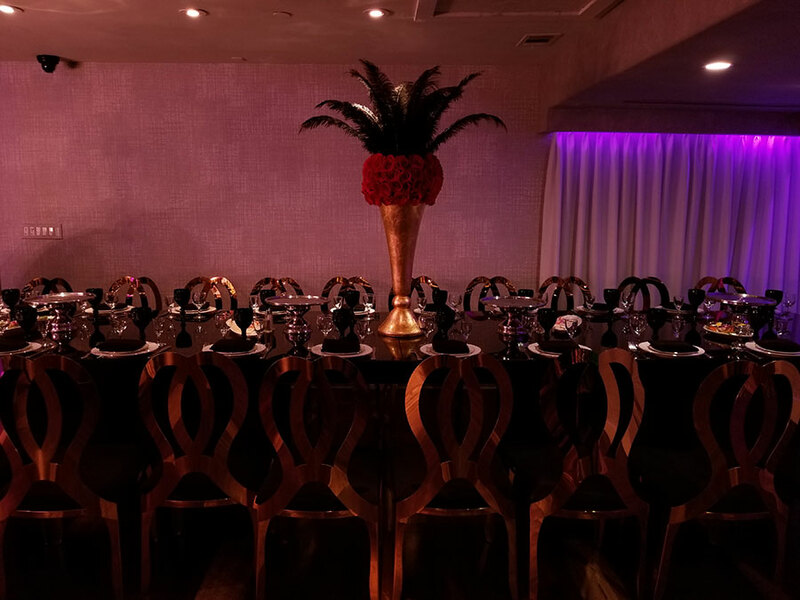 Events that take place in our De Luxe Lounge receive the same dedicated, detailed, and attentive service that our larger venues do.